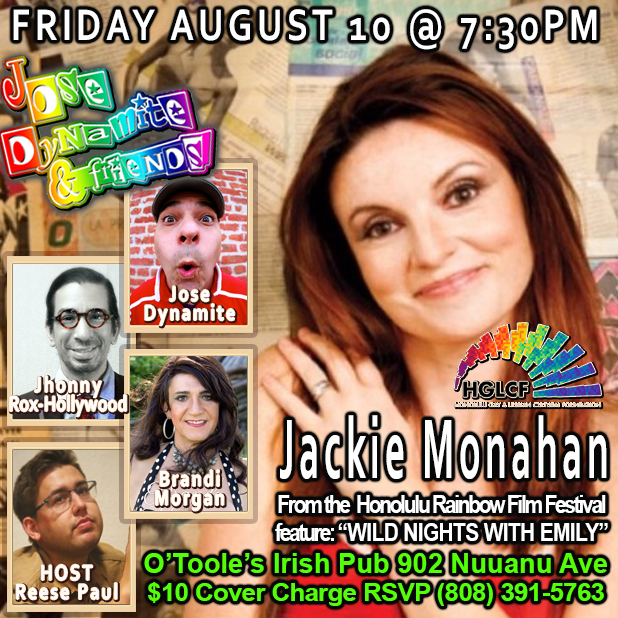 Comedian, actor, writer and producer Jackie Monahan is setting comedy stages on fire with her fearless brand of humor. Professionally trained at UCB and Groundlings, she won “Time Out New York Joke of the Year” and was voted “Comic to Watch” by Esquire magazine who said “Jackie has the looks of your friend’s hot older sister, with the jokes of a deranged serial killer. 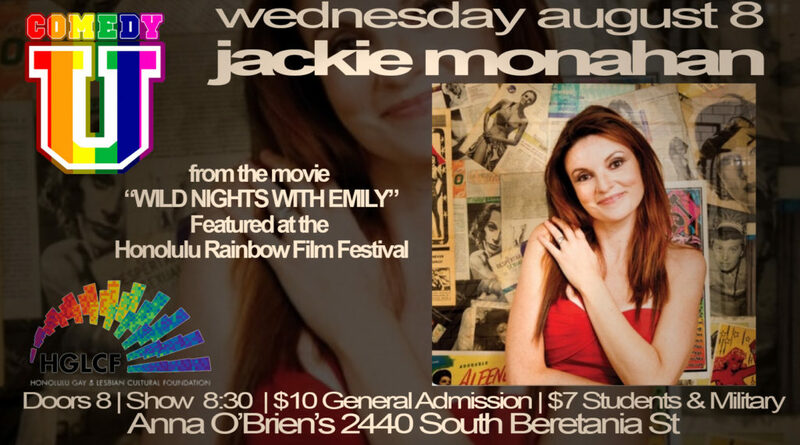 She will kill you and you will be smiling.” Jackie stars with SNL alumni MOLLY SHANNON in WILD NIGHTS WITH EMILY–HRFF29’s Spotlight Film on Sunday, August 12. Hosted by Jhonny Rox-Hollywood. Featuring John C, Patrick Tyrell. Opener: Shannon. Followed by Open Mic Comedy. Doors 8 PM // Show 830 PM // $10 General Admission // $7 Students and Military. Click here to learn more and to get your tickets. Jackie is back with the Comedy U team to headline a night of hilarity at O’Toole’s Irish Pub. With Jose Dynamite, Jhonny Rox-Hollywood, transgender comedian Brandi Morgan and opener Sita Om. Hosted by Reese Paul. Don’t miss this night of great stand up comedy. 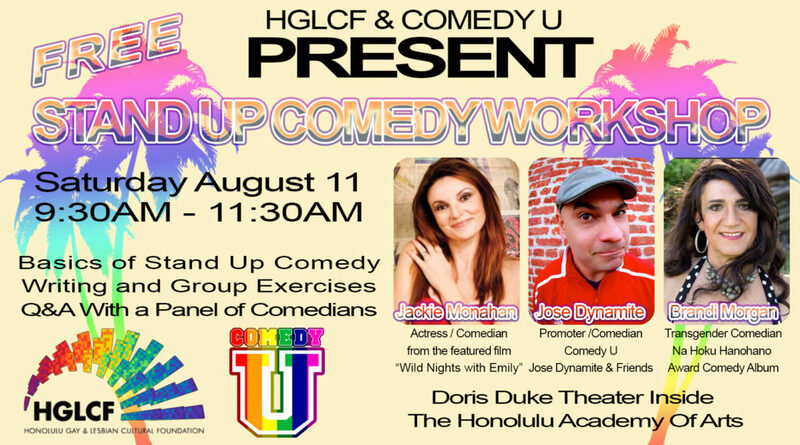 Start the weekend with a free stand up comedy workshop with Comedy U’s Jose Dynamite and transgender comedian Brandi Morgan, and featuring Jackie Monahan from WILD NIGHTS WITH EMILY. The workshop will cover the basics of stand up comedy, writing and group exercises, all followed by a Q&A with a panel of comedians. Then purchase your special 1-Day Pass for a day of Women’s Programming created in partnership with ClexaCon (more details below). Click here to learn more about this free workshop. Click here to get your Pass for a Day of Women’s Programming.